Following on from our previous article, many football fans like Tunde Folawiyo often visits YouTube when looking for the latest news about his favourite team, the Super Eagles. Recently, he came across a news report on this site, in which it was revealed that Nike had entered into an agreement with the NFF (Nigeria Football Federation) that will see the sports apparel brand designing and manufacturing the football kits for both the male and female Nigerian teams, at every level. 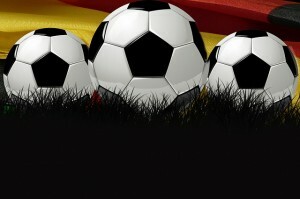 This includes the beach football team, the Olympic teams, the Under-17s, the Under-20s and the senior teams. This partnership began on the 1st of April, and will continue for at least another three years. As part of this deal, Nike will be creating the clothing and equipment for both the players’ training sessions and matches. Additionally, it will be developing an exclusive range of products for supporters of Nigerian football teams; these are expected to go on sale by mid-2016, although an exact date has not yet been set. The first team to wear Nike’s newly-designed kit was the Nigeria’s under-20 men’s team, when they played at the Under-20 FIFA World Cup in New Zealand last month. The new 2015 home jersey is green and white, and features two stripes; a vertical one on the front of the garment, and a horizontal one on the right sleeve. This design is thought to have been based on Nike’s famous Striker shirt. The kit also comes with matching green shorts and socks. 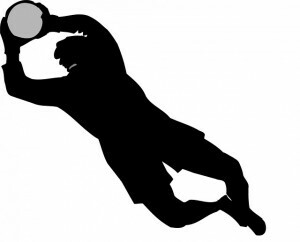 The NFF’s decision to do business with Nike should come as no surprise to those who are already familiar with this sports brand’s existing affiliations; Nike is known for working with many major sports federations, and currently sponsors national teams not only within the US, South Korea, South Africa, and Holland, but also in France, England, Brazil and Australia. In an interview, Laurent Payre, who currently serves as the General Manager of Nike Africa, expressed delight at the new partnership, stating that he and his colleagues were very pleased to be collaborating with the NFF. He noted that Nigeria is famed for its passion for football, and went on to say that Nike is determined to contribute to the progression of this game at every level. The President of the NFF, Amaju Pinnick, also commented on the partnership, describing it as ‘exciting’. He, along with Stephen Keshi and several other NFF members, signed the contract with Nike in London last April. On the day of the signing, he declared that he was certain that the deal would be a positive step forward for the club, adding that the NFF was happy to be partnering with one of the world’s leading brands. He explained that the deal symbolises the federation’s devotion to improving the future of football in Nigeria, and added that the NFF is eager to boost participation, and ensure that the national teams enjoy as much success as possible in the coming years. Fans of Nigeria’s football teams are likely to be quite relieved by news of this partnership, as the NFF had been quite candid about its struggle to secure a new kit sponsor, after their partnership with Adidas ended late last year; at the time, Ademola Olajire, a spokesman for the federation, admitted that they were in talks with several different manufacturers, in the hopes of negotiating a replacement sponsorship. The NFF first collaborated with Adidas more than two decades ago, entering into an agreement just before the Africa Cup of Nations in 1994. Although the NFF switched manufacturers soon after this tournament, and worked with Nike for the next eight years, it reinstated its contract with Adidas in 2004. Just two months after the contract with Adidas expired, reports indicated that Puma was in the running for the role of kit sponsor, with sources revealing that the brand had expressed a serious interest in making a deal with the NFF. Ultimately however, the two parties were unable to agree upon terms which suited them both, resulting in Nike stepping up to the plate, and delivering a deal which was satisfactory for everyone involved. Speaking about the NFF’s previous contract with Nike, Pinnick noted that the national teams had performed well during that period, winning their first ever gold medal for football at the Olympics in 1996, and reaching the 16th round of the FIFA World Cup two years later. The NFF president finished by saying that he was sure that the federation’s second partnership with the corporation would bring about further moments of glory for all of Nigeria’s national teams in the future. Whilst of course, no-one can say for certain how Nigeria’s sports teams will fare over the coming years, there is no doubt that they will benefit from their affiliation with this major sports brand. 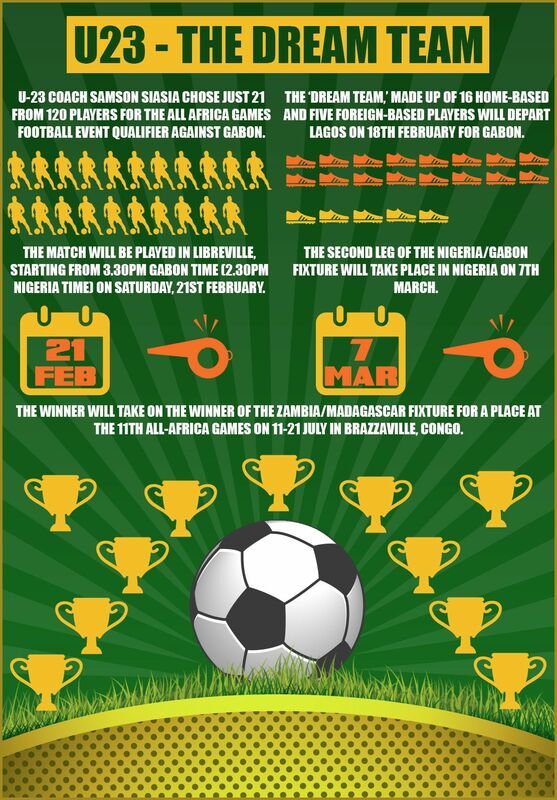 Nigeria’s under 23 national football team, known as “the Dream Team VI”, beat Gabon’s team on Saturday 7th March 2015, taking Nigeria through to the final round of qualifiers for the 11th All Africa Games’ Men’s Football Tournament. The fixture was held in Nigeria’s capital, Abuja. The match had supporters such as Nigerian entrepreneur Tunde Folawiyo on the edge of their seats, culminating in a 2-0 victory for the Dream Team. Gabon’s under 23 team put up a valiant fight but were ultimately outclassed by their Dream Team rivals, sustaining this loss on top of a 4-1 defeat in Libreville, knocking them out of the All Africa Games qualifiers. Junior Ajayi and Oduduwa Segun were the Dream Team’s scoring players, taking the team to the next round of qualifiers with an aggregate score-line of 6-1. Samson Siasia, the Dream Team’s Head Coach, seemed somewhat critical of his team despite their win, indicating in interview that there had been lapses and pledging to iron these out before the next match with Zambia. Nigeria’s youth teams are often eclipsed by the success of the senior national side, but it is teams such as the Dream Team which will produce Super Eagles of tomorrow, achieving glory with the first team and becoming national heroes, in many cases, overnight. Afcon finalists Ghana demonstrated the importance of integrating a successful youth team into the senior side with their squad of 2009. South Africa and Equatorial Guinea have seen a major upturn in their fortunes since employing former youth team coaches. On an international level, Germany and Spain are shining examples of how recognising and nurturing potential; honing the skills of young players and careful planning and preparation can reap unforgettable glories. It is in this context that Super Eagles enthusiasts such as Tunde Folawiyo are beginning to look to Nigeria’s youth tournaments for the up and coming stars of tomorrow. The greatest challenge in building any national side is translating the magic of youth to the international competition pitch. Samson Siasia’s under 23 team provide arguably the most promise in raising the fortunes of the senior side. These young players are hungry for success. With a combination of raw talent and tight coaching, they could be a breath of fresh air for the Super Eagles, bringing refreshment, revival and rejuvenation. Through rigorous trials in Abuja in 2014, Samson Siasia worked whittled down a list of some 120 players to the Dream Team we see today. To these under 23 year olds, being picked to play for Nigeria’s Olympic side was precisely that: a dream in itself, and one which might just open the door to the echelons of professional international football. The Dream Team’s youngest player is midfielder Azubuike Okechukwu, who has already collected an impressive four caps at the age of just 17. Their top scorer is Ajayi Oluwafemi with five goals. Recent call-ups to the Nigerian under 23 team include goal keeper Bala Yusuf Mohammed; midfielders Effiong Emmanuel Etim, Obido Godwin and Obochi Peter Eneojo and forwards Adetunji Sunday and Ewenike Achibi Chibuike. The Nigerian under 23 team made their debut at the Olympic Games in 1968. ‘They have made five appearances since. Their best result was in Atlanta in 1996, when they took home the gold medal. They won silver at the 2008 Olympic Games in Beijing. The Dream Team have made five appearances at the All Africa Games, winning in 1973 – their debut appearance. They claimed the silver medal at the All Africa Games in 2003, and bronze in 1995 and 1991. The Dream Team won the Inter Continental Cup in 2008 and the Niger Tournament in 2002, claiming third place at the TIFOCO Tournament in 2003. Dream Team Coach, Samson Siasia, is optimistic that his team will qualify for the All Africa Games when they host Zambia on Sunday 22nd March in Abuja. Siasia told interviewers that his boys are ready and that their focus is on getting the job done. He has great ambitions for his squad, both at the All Africa Games and the 2016 Olympics. It has been announced by a top Nigerian Football Federation official that Frenchman Henry Michel is to be the new Super Eagles coach. Michel expressed his willingness only last week to coach the African champions if he were to be approached by the Nigerian Football Federation. The controversial decision to let Stephen Keshi go came just hours after the Super Eagles match against Sudan. Several well known coaches have been linked to the job, including Germany World Cup winning captain, Lothar Mathaus. Also linked were coaches Klaus Toppmoller, Roger Lamerre and ex-Netherlands coach Ruud Gullit. However, it is reported that the job will go to the well-travelled Frenchman according to a Nigerian Football Federation official. The post is being filled in the interim by Shuaib Amodu and three other coaches awaiting an official appointment. Henry Michel is a highly respected figure in African football. During his illustrious career he has coached the national teams of Cote d’Ivoire, Tunisia, Morocco and Cameroon. He also skippered the French national team that included the legendary combination of Jean Tigana, Alain Giresse, Michele Platini and Luis Fernadez, a team which finished in third place in the 1986 FIFA World Cup in Mexico. There has been criticism amongst Nigerian fans of the decision to change coaches before in the run up to the team competing to qualify for next year’s AFCON. With a slim chance of qualifying, the team need to be in the best possible hands to turnaround their hopes of defending the trophy won by them in 2013 in South Africa. Nevertheless, the interim coach Amodu Shuaibu has made a significant contribution to the development of Nigerian football. The Edo state born coach has made some remarkable achievements skippering the Super Eagles. It is under his stewardship that the team qualified for the 2010 World Cup in South Africa and took third place in the African Cup of Nations in Angola in the same year. Shuaibu has managed the Nigerian team on three previous occasions: from 1998 to 1999, 2001 to 2002 and 2008 to 2010. He has a turbulent relationship with the team’s fans and his employers. In a recent interview, Stephen Keshi commented that he had not been sacked by the Nigerian team. He confirmed that his contract with the Nigerian Football Federation came to an end in the World Cup in Brazil in 2014, making it inappropriate to say he was sacked from his post. Keshi remarked that the team could still qualify for the 2015 African Cup of Nations with hard work from the players and encouragement from the fans. Nigeria is currently occupying the third position of Group A with 4 points, following the Democratic Republic of the Congo’s 7 points and South Africa’s 8. The Super Eagles are set to play the Congo on the 14th November, and South Africa on 19th November. In the meanwhile, the Central Bank of Nigeria team were defeated by the First Bank of Nigeria team in a lone goal win in the 28th annual All Financial Institutions Football Competition. The winning goal was scored by Gafar Lasisi in the 56th minute. Concerns were reported by the Nigeria Football Federation’s new President, Amaju Pinnick, with regard to Stephen Keshi. Pinnick hinted that his contract might not be renewed, calling into question the trainer’s competence after the game against Iran. In the wake of Nigeria’s defeat by Sudan, Keshi pleaded with Nigerian Fans to forgive him and his team. The Super Eagles failed to record a win in the qualifiers for the African Nations Cup at the fixture in Khartoum and were defeated by just one goal. The Super Eagles thus have to win their remaining three matches in order to qualify to play in the championship. Super Eagles striker Emmanuel Emenike blamed the bad condition of the Khartoum football pitch for the team’s shocking loss against Sudan. Emenike commented that the pitch had been left flooded before the game, ensuring that the Nigerian team had no opportunity to practice on the Sudanese pitch before the match. With sweeping changes afoot, Super Eagles followers such as Tunde Folawiyo will be keeping a keen eye on what happens next. Born in Lagos in 1960, Mr Folawiyo is a London School of Economics graduate and Member of the Bar of England and Wales as well as an ardent Super Eagles supporter. To discover more about this African Business Leadership Award winner, follow Tunde Folawiyo on Twitter. The Nigerian national football team (known as the “Super Eagles”) represent the county in international association football. The Super Eagles are controlled by the Nigeria Football Federation. Nigeria played its first official game in 1949, whilst the country was still a British Colony. Nigeria competed in the World Cup for the first time in 1994 under the management of Clemens Westerhof, and won the Africa Cup of Nations in 1980, 1994 and 2014. The team’s highest capped player is Joseph Yobo, with Vincent Enyeama a promising runner up. During 1994, the Nigerian national football team ranked 5th in the FIFA World Rankings, the highest ranking achieved by an African team in the continent’s footballing history. The Super Eagles’ first manager was John Finch, who managed the team from 1949 to 1954. The outgoing manager, Stephen Keshi, took over the reins in 2011. Super Eagles fans like Mr Folawiyo will be watching with baited breath for confirmation of the new manager and whether, despite all the odds, he can lead the team to AFCON success. 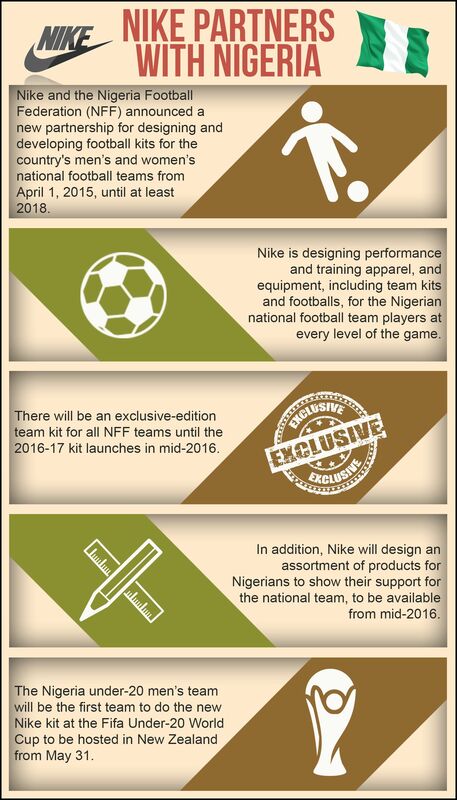 Keep updated with our latest posts such as NFF announcing new Nike Sponsorship deal. The Nigerian football team has a long and proud history. The men’s team has produced some sensational talents since its inception including such world stars as Kanu and JayJay Okocha. But now the “Super Eagles”, as the Nigerian team have been named by their fans, have something else to celebrate and be proud of – the national women’s team has been reaching new heights as a competitive force on the international scene. Furthermore, what links this proud family in more ways than one are Bright and Courtney Dike, both fierce supporters of the national game in Nigeria, both playing professionally, both representing their country at international level, and what’s more, both brother and sister. Known as “The Falconets”, Nigeria’s under 20′s all-female team achieved a magnificent milestone in reaching the 2014 Under 20′s World Cup Final after beating North Korea 6-2 in their semi-final match. It was there that Courtney Dike graced the world stage at its highest level in front of a packed crowd in Canada. Having the entire country behind the Nigerian team might have been enough to put pressure on the players, but playing in front of a brother who has also played for Nigeria equally could have been nerve-wracking. Her brother, Bright Dike, plays in Canada and has done for most of his career. Since 2012, he has had two capped appearances and a goal to his name, but there was no sibling rivalry on display during the cup final, and no visible nerves on the pitch. Bright Dike turned up to cheer on his sister, hoping that she and the rest of the under 20′s Nigerian team could defeat a resolute Germany side, as did ordinary Nigerian football fans such as Tunde Folawiyo. Unfortunately it was not to be, and Nigeria was defeated by Germany, losing to a 98th minute goal in extra time from the opposition’s Petermann. Despite this, Bright Dike feels that the achievement of reaching a World Cup final and matching one of the world’s most famous footballing nations shows how much the game has grown in Nigeria, and how much there is to look forward to over the next few years for fans of the Falconets. 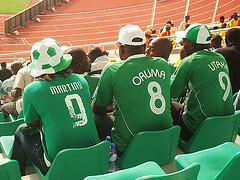 It appears that this has been embraced by the fan-base, as interest in Nigeria’s national men’s and women’s teams continues to grow, illustrated by the volume of online activity on social media and other websites as fans post videos about their homeland and football, such as those seen on Tunde Folawiyo’s Youtube channel. For an African nation to reach such heady heights, and show the skill and determination to compete with the best, is something which many will feel all fans of African football can be proud of. For Courtney Dike and the other Falconets it is just the beginning, and in the years to come they will have a great chance to better their runner-up position in 2014 in future competitions if they build on this positive experience. Nigeria has produced a number of world class footballers who have all shone on the international stage by representing the national team. Also known as the “Super Eagles”, the Nigerian national team has continued to be one of the most successful African teams in both the African Cups of Nations and at the World Cup which is held every four years. With such an embarrassment of riches at their disposal, and a long illustrious footballing pedigree, fans such as Nigerian football enthusiast Tunde Folawiyo and others continue to debate over who is the greatest Nigerian footballer of all time. Regardless of the opinion held by different fans, many tend to mention the same names: Nwankwo Kanu, Jay-Jay Okocha, Rashidi Yekini, Taribo West, and Segun Odegbami to name but a few. All of these players, and several others who are often thrown into the mix, have all represented the Nigerian national team many times, showing their world class skills off to the footballing world. Deciding which player deserves to be crowned “the greatest” is one which continues to be fiercely contested by football enthusiasts. Perhaps the most famous player amongst them is certainly Nwankwo Kanu. Playing for Arsenal in the most competitive football environment in the world, the English Premiere League, Kanu established himself as a firm fan favourite at the London club and an integral part of the successes which that particular Arsenal vintage achieved. Following on from winning the Dutch league and Champions League with Ajax, Kanu secured two back to back titles for Arsenal, cementing his reputation as a Nigerian great. Other players such as Segun Odegbami also achieved much, establishing a reputation as a wonderful talent. With 46 caps and 23 goals for the Nigerian national team, he became a firm fan favourite by being a member of the first ever Super Eagles team to win the Africa Cup of Nations in 1980. That win symbolised the true beginning of Nigeria as an international force to be reckoned with, and acted as the foundation for the country’s later successes. It appears that Nigeria has such a long and important history of producing world class talent that it is almost impossible to choose one player as “the best”. Football fans, such as Tunde Folawiyo, continue to support the team and its future players regardless of who is deemed most talented, while being committed towards other African sporting initiatives such as those seen at the Polo International Tournament. This all-encompassing support of Nigerian sport is perhaps the biggest asset which the game of football has in the country. In their more recent achievements, including winning the 2013 African Cup of Nations, the most recent crop of players may one day enter onto the lists of Nigerian fans’ favourites. This passion for supporting home grown talent is sure to fuel the continued production of world class footballers and other athletes, making it even more difficult to select one “best” footballer in the future—a problem which Nigerian football fans will welcome. How will Nigeria fare at the World Cup? With the World Cup upon us, fans of Nigeria’s Super Eagles like Tunde Folawiyo are no doubt wondering how well the team will perform at the tournament. A number of players and NFF officials have voiced their opinions on the subject; Vincent Enyeama, the Eagles’ goalkeeper, is optimistic about their chances, and has publically stated that he believes they will reach the semi-finals. However, he was quick to add that he and his teammates will be taking it step by step, and for now will only be focusing on reaching the second round. Like Enyeama, Victor Moses is hoping that Nigeria will secure a spot at the semi-finals. Moses, who currently serves as a winger for Chelsea, is cautiously optimistic about the team’s ability to get ahead at the tournament, although he noted that this could only be achieved if they are willing to listen to the advice of their coach, Stephen Keshi. He finished by saying that there is a great deal of camaraderie between the players, and that this will be helpful when it comes to attempting to realise their ambitions at the event. Gustavo Dzugala, who was recently appointed as Nigeria’s Argentina Ambassador, refused to comment on which team would emerge as the ultimate winner of the tournament; however, he did name Nigeria and Argentina as favourites in Group F. He predicted that these two clubs would manage to defeat Iran and Bosnia. In terms of individual players, Peter Osaze Odemwingie has been named as someone who is likely to outshine his teammates at the tournament. Emmanuel Babayaro, who once served as Nigeria’s goalkeeper, noted that Odemwingie has a number of qualities that will help the Eagles to succeed in Brazil. He described the forward as dedicated, experienced and confident. Odemwingie’s recall to the squad after a two-year absence is likely to have come as a surprise to Tunde Folawiyo, and other Eagles supporters. The forward has clashed not only with Keshi, but also with other Eagles coaches over the years. However, Odemwingie seems eager to put these tiffs behind him, and has spoken on Twitter of how happy he is to be back with the team. While some remain sceptical of Odemwingie’s humble words, and have argued that he is merely putting on a front in order to get a place in the World Cup squad, there’s no denying that he will be a valuable asset on the pitch. While supporters of Nigeria’s Super Eagles, like Tunde Folawiyo, are probably looking forward to the team’s participation in the World Cup, some say that they are simply not ready for what lies ahead. Adokiye Amiesimaka, a former player who was a member of the team during the 1980 Africa Cup of Nations, has argued that the NFF and the club’s coaches should have been focusing more on the technical crew, and less on the squad list. Samson Siasia, a former coach of the team, has also expressed his views on Nigeria’s chances at the World Cup. He contends that in the group stages, Iran are likely to be the Eagles’ most challenging opponents. They will face them in their first game of the tournament. Like Amiesimaka, Siasia noted that the technical crew need to work harder to ensure that Nigeria defeat this team. He suggested that the crew obtain a compilation of Iran’s past matches, in order to formulate the right type of tactical plan. However, it seems that for most people it is the squad list, rather than the technical crew’s strategies, which has been occupying their minds. As a fan of the club, Tunde Folawiyo may have heard that the NFF are said to have rejected coach Stephen Keshi’s original squad list, on the grounds that he failed to include several key players, notably Peter Osaze Odemwingie and Joseph Yobo. Keshi tried to explain the reasons behind his decision to exclude these men, stating that there were issues regarding their fitness, and their recent injuries. However, the NFF asserted that the experience of these players would make them valuable assets to the team at the tournament. Joseph Yobo has also assured the public that he will be physically fit for the World Cup, despite having missed out on several matches in recent weeks due to a calf injury. Yobo, who currently serves as a defender for Norwich City, has said that he has returned to full training and will be healthy enough to participate in the tournament. However, while this announcement may have allayed fears regarding the player’s physical fitness, some still have doubts about his ability to positively contribute to the squad; Kashimawo Laloko, who works as the NFF’s assistant technical director, seems to agree with Keshi’s initial decision to exclude Yobo; he has argued that the defender will weaken the team. As a supporter of Nigeria’s national football team, Tunde Folawiyo was no doubt disappointed when their recent clash with Greece ended with neither side having scored. However, although the Eagles failed to net any goals, they performed well in terms of defending themselves; Greece only had one clear opportunity to score, during the 83rd minute, when Salpingidis’ header resulted in the ball going just over the bar. Initially, it seemed as though Greece might take the lead when, in the 7th minute, a quick pass from Karagounis to Fetfatzidis went unnoticed by the Eagles. However, Fetfatzidis’s shot was inaccurate, and never made it into the net. Three minutes later, things seemed to be looking up for Nigeria, when they were awarded a free kick, that was taken by Emenike, but a weak shot by the striker meant that the team failed to gain the upper hand. The remainder of the match was filled with missed opportunities, as both sides struggled to break down their opponents’ defensive line. Towards the end, Nigeria resorted to taking shots from long range, rather than attempting to get closer to the goal post, but this approach proved fruitless. Things went from bad to worse after Echiejile suffered an injury on the pitch and had to sit out the rest of the game. After the match, Eagles coach Stephen Keshi expressed some disappointment with the team’s performance, noting that his players would have to improve very quickly if they wished to succeed at the World Cup. He acknowledged that every team has bad matches now and again, and added that perhaps this less-than-perfect game would motivate the players to work harder during the tournament. He finished by saying that the purpose of a friendly is to help a team unearth its weaknesses, and this is precisely what happened during the Eagles’ battle against Greece. Despite his words, Keshi might be regretting his choice of squad members, given their performance in this match. Eagles fans such as Tunde Folawiyo were probably quite surprised at the manager’s decision to exclude midfielders Joel Obi and Nosa Igiebor, as well as Sunday Mba, who played extraordinarily well during the African Nations Cup. However, Keshi explained that he could not be sentimental when making his choices, and had to base his decisions on players’ recent performances. Known as “The Super Eagles”, the Nigerian football team has been one of Africa’s most successful over the past few decades. With a rich history of world class footballers, such as Patrick “Segun” Odegbemi, JayJay Okocha, and Kanu Nwankwo, combined with a number of exciting young players on the horizon, the impact which the Nigerian team has had on football in Africa and beyond should continue for many years to come. Formed in 1949, the Nigerian football team had already been in existence unofficially since the 1930s. The development of the game in Nigeria finally bore fruit in 1976 and 1978 when the national team finished third out of all teams competing in the renowned African Cup of Nations. In 1980 the Nigerian national football team which was comprised of such legendary players as Tunji Banjo, Christian Chukwu, and Muda Lawal, went on to win the competition out right, cementing themselves in football history. These successes were added to in 1994 when the team first reached the World Cup. The Super Eagles made an explosive immediate impact on the international game immediately, by topping their initial group which included well-known and established international football teams such as Argentina, Bulgaria, and Greece. They went on to the next round where they led a famous Italian side by 1-0 until the last two minutes of the game when Roberto Baggio scored a goal to take the game to extra time, scoring another via a penalty kick during extra time which ended Nigeria’s excellent and impressive run in the competition that year. This accomplishment was equalled in the next World Cup in 1998 when the team reached the second round of the competition, doing the same again in 2014. 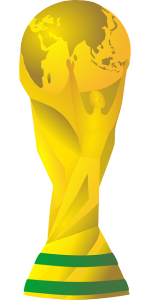 In the years between, the Nigerian national football team also qualified for the 2002 and 2010 World Cup competitions, further solidifying their reputation as a successful and admired international football team. Building on the achievements of previous players, Nigeria continues to produce young footballers ready to make their mark on the international stage. In 2014 the Nigerian under 17s team won the FIFA World Cup for their age category for a staggering 4th time. Their coach, Many Garba, continues to develop these players attracting attention from some of the world’s most prestigious football clubs including Arsenal. This most recent victory, which took place over a highly skilled Mexico team, is the latest example of why the Nigerian football team will continue to contribute to the football community in a positive way, as it has done over the past few decades. With a number of high profile supporters such as Tunde Folawiyo (for more information read this blog article on Tunde Folawiyo), the Nigerian football team will continue its high profile work as one of Africa’s most successful footballing nations. Are there changes in store for the Super Eagles squad? After several weeks of negotiating, Stephen Keshi has officially agreed to continue serving as the coach of the Super Eagles. He sent his formal letter of acceptance to the Nigerian Football Federation last week. The news of the coach’s contract renewal will no doubt come as a relief to Tunde Folawiyo, and other Super Eagles fans, as it means that the team now have the leadership they need to prepare for the first of their AFCON qualifying matches, which is to be held on the 7th of September. The team are set to face Rwanda, Sudan and South Africa in the Group A matches next month. Rwanda was named as one of their opponents after their outstanding penalty shootout against Congo resulted in a 4-3 victory. They will be travelling to Nigeria to play the Eagles. Although the Wasps performance against Congo was impressive, Eagles’ fans like Tunde Folawiyo are probably not too concerned, given how well their team played at AFCON last year. More upheaval may be on the cards for the Super Eagles in the near future, as Sammy Amoebi, who currently plays for Newcastle, has expressed a desire to devote his senior career to Nigeria, much like his brother Shola has. In an interview, Sammy said that it would be a great honour to join the Eagles, adding that after seeing how happy his older sibling was with the club, he is sure that he too, would fit in well. There have also been rumours that Kelechi Iheanacho, a player who rose to fame during his time with the ‘Super Eaglets’ last year, might be joining Nigeria’s senior team in the very near future. His performance at the U-17 World Cup 2013 was outstanding; the seven assists and six goals which he provided were instrumental in helping his team to win this title. His efforts did not go unnoticed, with the committee awarding him both the Golden Ball and the Silver Boot for his hard work on the pitch. During the same year, he was given the title of ‘Most Promising Youngster’ by the CAF. However, opinions are divided on whether Iheanacho would do well if he joined the Super Eagles. Sports journalist Solace Chukwu contends that integrating into the senior Nigerian team might be too overwhelming for the young man, but James Ezimoha believes that the Eagles need some fresh faces, and that Iheanacho could provide the commitment, passion and zeal that the existing squad so desperately need. Although football is something which interests Folawiyo greatly, he also has many other passions, including entrepreneurialism. Those who want to learn more can read about the Tunde Folawiyo success story on Frontiers.